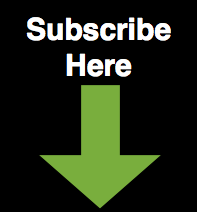 Note: For some short video clips of the Cadre Study Sabbatical in Israel, GO HERE. While on our study sabbatical to Egypt and Israel, we spent hours reading the Bible... particularly the life of Jesus Christ as found in the four Gospels. One additional study aid we poured over was the now out-of-print book, With Christ in the School of Disciple Building by Carl Wilson. This gem, published in 1976, is a study of how Jesus made disciples who could make more disciples. Even if you're a casual reader of this blog, you know that this is a primary concern and passion for me and the Cadre team. Instead of giving you a narrative of my journey through Wilson's study of how Jesus made disciples who made more disciples (thus changing the world), I'm going to pass on to you selected quotes. I hope that these quotes will whet your whistle for your own study of how YOU can be a disciple who makes more disciples... like Jesus. After the quotes, I will include some links to resources (even a FREE resource) that might help you in your own study of how Jesus made disciples who made more disciples. In the early church, following the death of the twelve apostles of Christ, the decline of the disciple-building ministry and emergence of a separation between the church leadership (clergy) and the people (laity) are directly related. The manner in which Jesus and His apostles built disciples disappeared from the church between the second and fifth centuries. Through His intimate relationship with a small group of men, Jesus Christ built them into effective leaders who could build disciple-builders. It is important that the church get away from the strictly lecture-type, administrative-type Christian leader. It needs leaders who will train small groups of people (giving them personal application) who will in turn train many others, producing a multiplying effect in the congregation. Only in this way will Christianity become relevant to the times in which we live, and only in this way will people take seriously the things they are taught. There are far too my adults going to Sunday School [or small groups] year after year, often bored to death, when they ought to be out involved in ministry themselves. The result is that we are still spoon-feeding grandmother and telling her what to do. Jesus' approach to disciple building resulted in training an increasing number of men who were reproducing His ministry. This meant that as the work grew, there was a constant flow of new leadership to assume the responsibility. Today the modern church operates so the work load continually increased on the pastor, and his load becomes heavier, which limits the church's ministry and harms the pastor. When churches are built properly, Christ, and not the leader, will be the topic of conversation. Of course, there is much more to Wilson's book, most of which is an elaboration on what he sees as a clear pattern Jesus used to make disciples who made more disciples. I hope those quotes make you think about your short life here on earth... and how following Jesus' approach to discipling others can give you a greater impact... that will live beyond your life here on earth... into eternity. Here are some links to resources you can use in your own study of the disciplemaking life of Christ. May these wreck your world so that you make disciples who can make more disciples ad infintum. With Christ in the School of Disciple Building by Carl Wilson. Since this book is out of print... these are the used ones for sale from Amazon.com. The Master Plan of Evangelism by Robert Colemen. This 1963 gem is a great study of Jesus' disciplemaking strategy as well. In my opinion, it would be more aptly titled, "The Master Plan of Multiplying Disciples," but hey... I'm just a geek... so what do I know? Good used ones for .75 cents from Half.com or new ones at your local Christian bookstore for about $6. 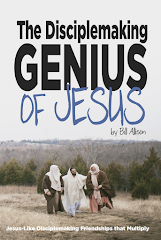 The Training Genius of Jesus... download it for FREE right now. (Sorry I'm a little delayed in this comment... been a BUSY week.) Great post Bill. It coincided with my monthly Charles Simpson newsletter. I loved the comment about comments on multiplying (or fathering is the term I most often use). It got my spirit fired up. I put a post on the Caffeine Buzz cause I didn't want to get long winded here. Again, great stuff. God bless. I sometimes wonder if people are becoming church zombies is because they just haven't decided to love God with ALL their heart. Until we do this nothing else will amount to a hill of beans. I believe too many say well I want to be in touch with God and when I get to heaven I will make it a priority but right now I'm here on earth and this life is still priority. Until we make that PERSONAL decision the Church will be unfruitfull no matter how we do it. I love your heart Bill. I'm amazed that after 2000 years we are still trying to figure out how to do church.